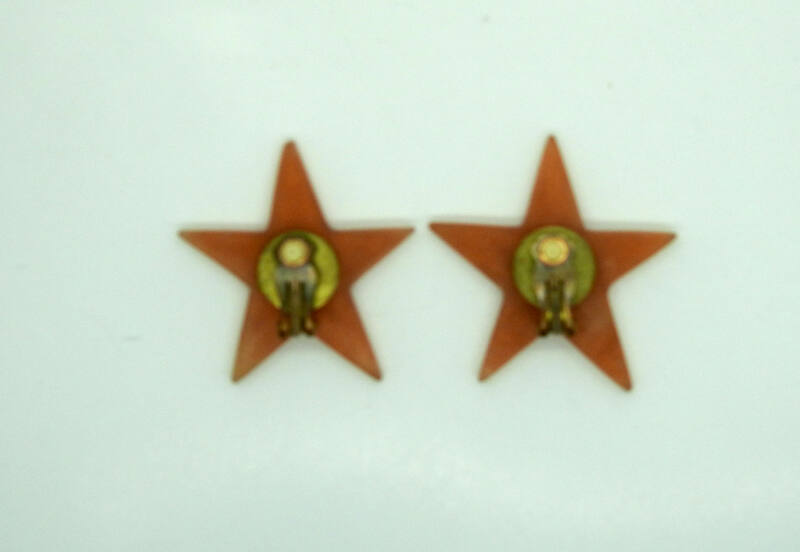 You’re going to love this fabulous vintage Star clip on earrings! These elegant costume jewelry earrings clip ons have a simple and timeless classy style with a playful and creative design. 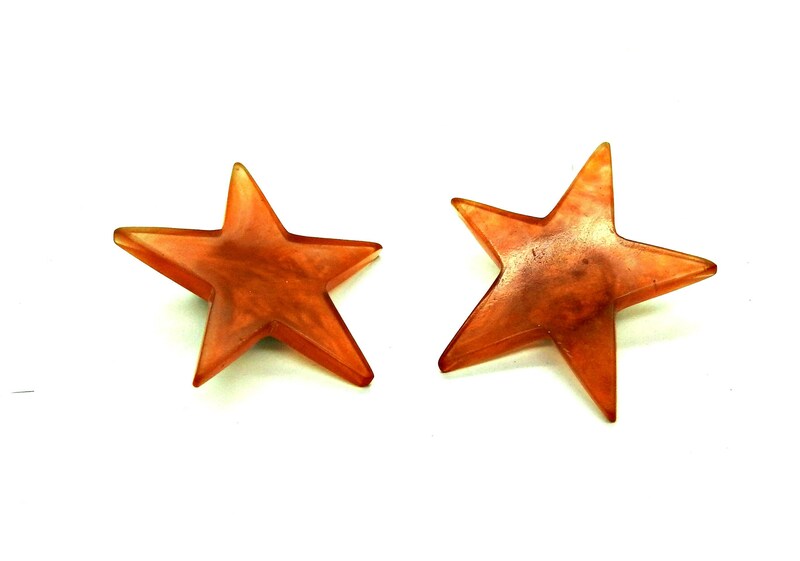 Add flirty style to your summer wardrobe with these structural star jewelry earrings. 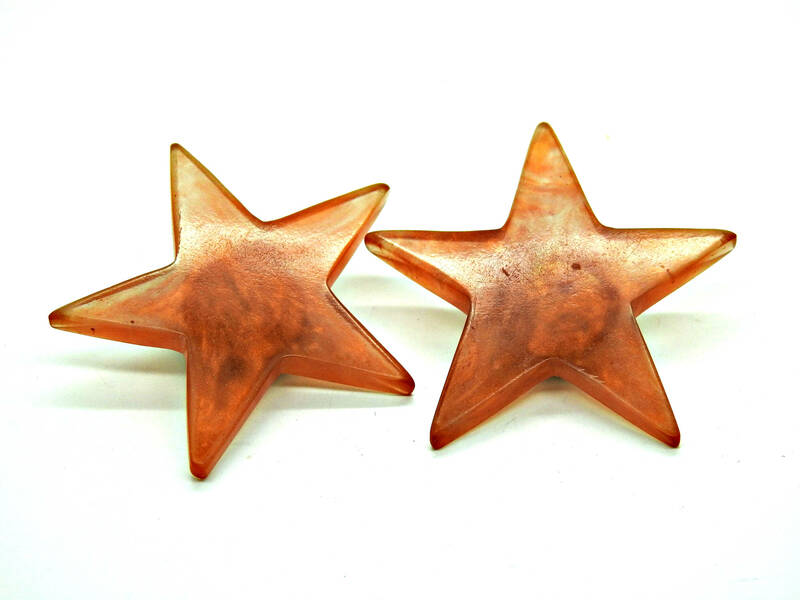 Whether you're looking for a gift or a treat for yourself, these unique star earrings statement clip ons are both a great choice and a great bargain. ✔ Country of origin: Canada, as far as I know. ✔ Material: plastic, nice quality. ✔ Classy and sophisticated clip on. ✔ Mesure: approx: 2''x2'' or 5x5 cm. 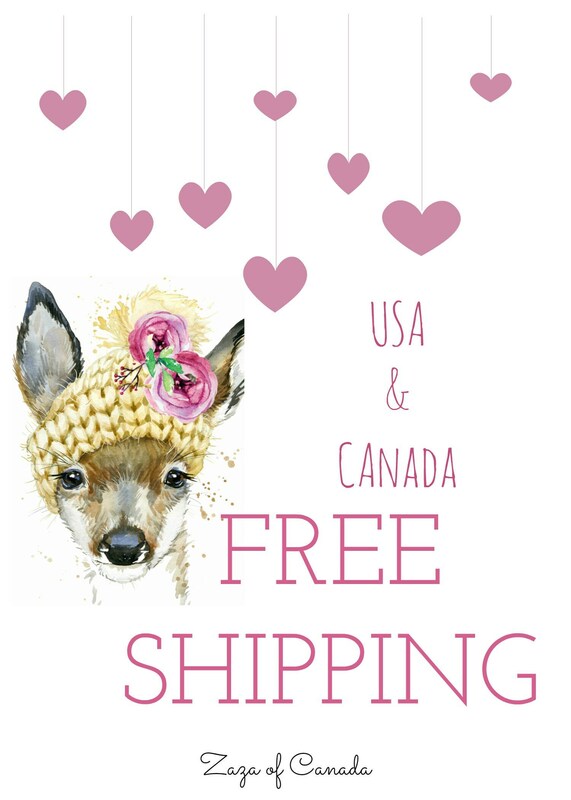 •To USA, Australia, Japan and Europe: delivery time varies by country, but I expect international packages to be delivered in 4 to 7 business days. • To Mexico, China, Russia: please do ask me if you have some concern but I expect international packages to be delivered in 7 to 15 business days. I offer combined shipping, although the price is dependent on weight. If you would like combined shipping, please please please CONTACT ME BEFORE PAYMENT IS MADE. Thank you for exploring my little vintage clothing and jewelry boutique, Treat yourself and buy this stylish clips on earrings for women!